We’re so glad you stopped in! 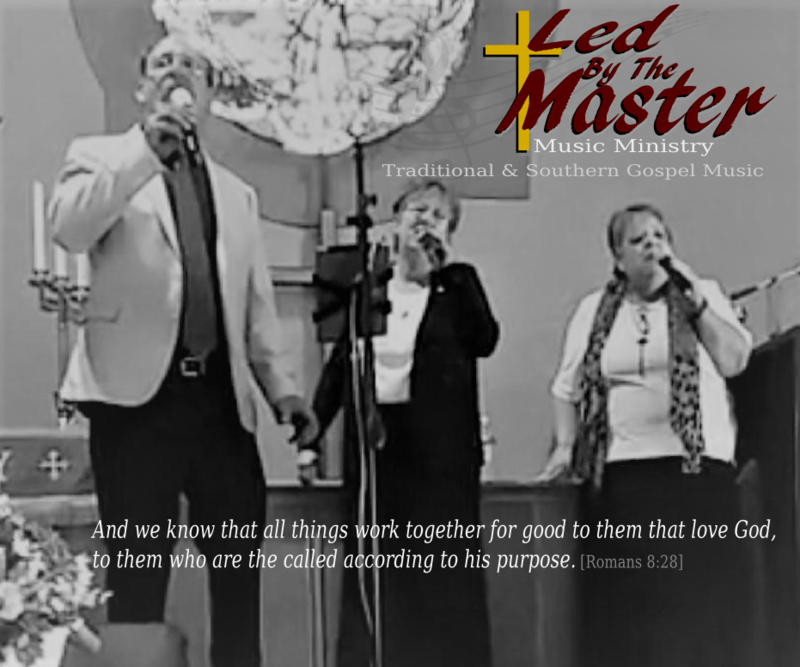 Our trio is called Led By The Master because … well… we are! And we’re dedicated to going wherever He leads us to serve. We’re grateful for the Lord’s grace and renewed mercies every day! From traditional hymns and Southern Gospel classics, to more current Christian songs, our focus is to provide Christ centered music in tight family harmony that appeals to a wide range of people. Visit our music page to for a sample of our singing style. God is so amazing! He continues to open many doors for us. We’re humbled by how God has blessed this ministry in spreading the Gospel. We have witnessed God’s Power in reaching souls for Christ, strengthening the faith of believers, and the peace only He can provide when His saints are called home. Our hearts desire is to continue walking “in His footsteps” as we labor to grow His Church. If we can be of service to you, please contact us. We are available for meetings, revivals, banquets and other special church events. Led By The Master Music and Church On Wheels Ministry are functions of Laminger Ministries. Led By The Master shared a post. ‪As we sang “her” song, I saw her wiping tears, and was reminded of just how important gospel music is and how special moments like these forever impact the ones living in their darkest day. Dear friend in the ministry, we all know how difficult it can be to keep that “happy face” and sing or preach from the heart...with a genuine love for the people. Rest assured, God has given YOU exactly what someone is needing today. Keep smiling, keep preaching, keep singing..
..and He’ll take it from there. Led By The Master shared a photo.